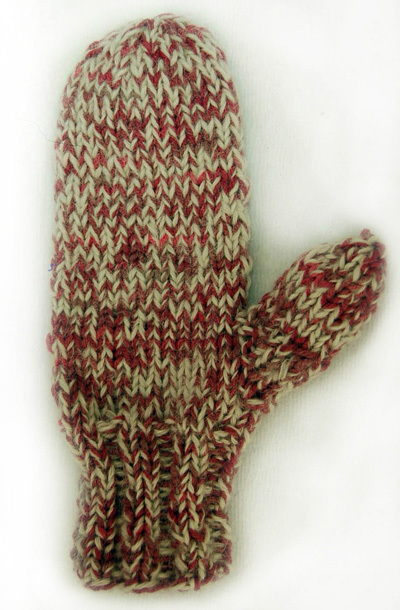 Description: Warm, thick felt mittens, shaped to fit your hands. Size: Sm (youth), Med (Women's), Lg (Men's). 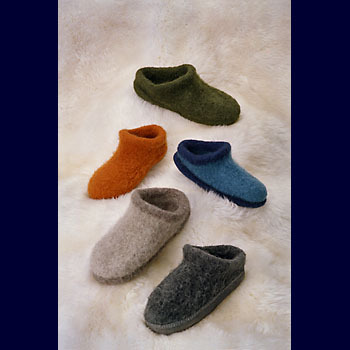 The exact finished size is controlled during the felting process. Yarn Requirements: Approximately 120 (140, 180) yards each of two worsted weight yarns held together and worked as one. 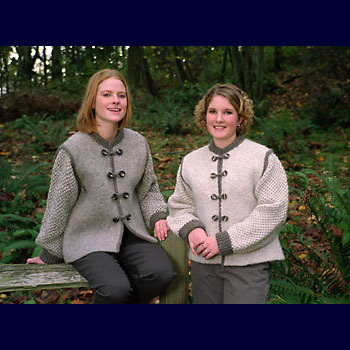 Choose yarns that will felt, such as wool, mohair or alpaca. Other Supplies Size 11 double pointed needles. A 16 inch circular size 11 may be used for the body of mittens, double pointed needles are required for top decreases and thumb. Gauge10 sts per 4 inches.